Plenty of sunshine, an average eight hours per day, which is just what you need to make the most of the endless activities that there are to experience in the area. Victoria Falls weather is beautiful!! For anyone getting away from the long winter months of the Northern hemisphere, you will love it. Hot summers from September through to April, and mild winters from May though to August. 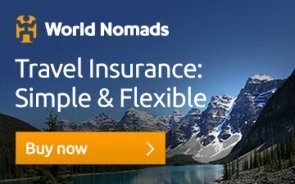 The time of year, mainly due to the rains and the Zambezi water level, does have a dramatic effect on many factors that might influence your trip. So please read the information carefully below to make sure that you plan your trip accordingly. * Livingstone island and devils swim -The devils pool closes around January and only re-opens in August. However they do use other pools to swim in like angels pool until about March. The Livingstone island tour closes in April through till about late June. * March/April- Huge volume of spray making viewing of the falls from the ground difficult, but great for aerial viewing. 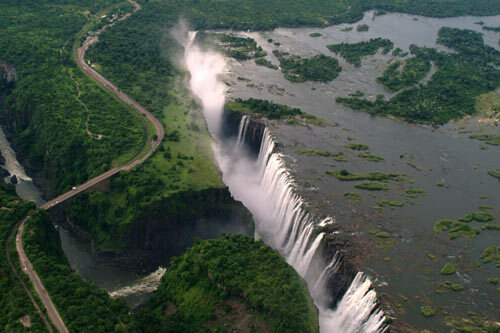 * November/early December - Low water level of the Zambezi River means parts of the Falls dry up. * The Zambezi National Park can be closed after heavy rains from December through to March. * Extremely hot and dry October - fantastic sunsets. 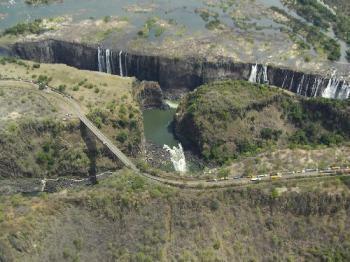 Winter (May to Mid August) in Victoria Falls is mild and dry. Average high temperatures ranging from 25-27°C (77-81°F) and average lows between 7-10°C (45-50°F). Not a bad winters day! 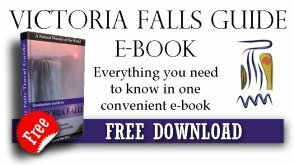 Have a look at this Victoria Falls Calendar (click on this link) it will help you to understand the different seasons in Vic Falls. From the end of August the temperatures start rising, and as we get into September and through to November it is very hot and dry. The typical African landscape turns very brown and can feel a bit harsh. This is my favourite time of the year and September is notoriously the best game viewing month as not only does the sparse vegetation make sighting of game much easier, but there is also less water inland so the animals congregate at the river. The bird life all year round is superb but in September it is exceptional with the arrival of numerous migrants, among these are the spectacular carmine bee-eaters arriving on mass and nesting in the sand cliffs along the Zambezi River. November is when you can expect the rains to start. It becomes hot, wet and quite muggy – very seldom will you find day after day of rain but is more often characterised by thunder storms building up in the late afternoon and a torrential downpour which is over in about an hour or so. Some very exciting electrical storms can be experienced. Unfortunately the rains make some of the roads in the National Parks inaccessible and you may find that sometimes the parks are actually closed. The rainy seasons normally last until about March/April. can see that this section has almost completely dried up, there will still be some water coming over at the main falls to the left. The Zambezi River water level drops to it's lowest around November/early December - approx 10 million litres per minute and this is naturally when the spray is at it least. Some sections of the Falls actually dry up. Local rains do affect the water level of the Zambezi River but it is when the headwaters (The huge volume of rain water that gathers upstream of the Falls in Zambia and Angola) start arriving in about February and peak in April, that the level of the Zambezi River rises dramatically- approx 500 million litres per minute. The viewing of the Victoria Falls although impressive with this amount of water going over is sometimes very difficult, with the spray being almost a continual downpour, making photography almost impossible. Please don’t underestimate this it’s like being in a continual, torrential rain storm. I don’t want to mislead you here though as this is only happens by the falls themselves, it’s not while you are walking around town or sitting on your hotel veranda. Winter starts around May through to mid August and the day time temperatures drop from the 30’s into the mid 20’s. The rains have now stopped and generally the skies are cloudless and beautifully blue, making this a very pleasant time of year. Evening and early mornings can be very cool and it is always advisable to pack some long pants and a sweater - especially if you plan to do some early morning game viewing (best time to see most animals – especially lions). However game viewing is not at its best now as there is still quite a lot of vegetation and water inland meaning that the animals are still spread out. Please check out the water level on the chart below for a guide on the rafting. As the various rainfall and flood waters do affect it and you don't want to visit in April when the rafting may be closed if that is one of the activities you really want to do and therefore face disappointment. 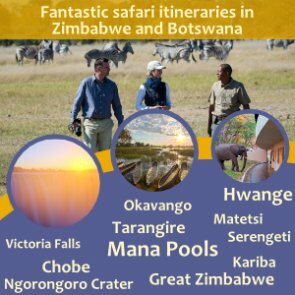 Don't forget to have a look at our Victoria Falls Calendar to help you understand the different seasons.